Start Hearing The Sounds You Love. Find Your Hearing Solution. Learn The How To’s When It Comes To Hearing Aids. Download our FREE consumer buying guide! Click Here To Download! Love starts here with a tailored solution to improve your hearing range based on your personal preferences. And since hearing is believing, we encourage you to experience our product demonstrations from among the top device technologies to fit your lifestyle. Lyric is positioned completely inside the ear canal, so it uses your ear’s natural anatomy to funnel sound to your eardrum. Listening and Communication Enhancement was created to help you develop skills to deal with situations when hearing is inadequate. Whether you wear a hearing device, or simply wish to improve your listening skills, LACE training will help you get the most out of the sounds of your life and enhance effective communication. Improves face-to-face communication, hearing of electronic media, telephone reception, and hearing important warning sounds. 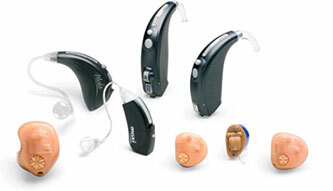 Our specialized hearing products include custom fit earplugs and earpieces to protect your hearing health.